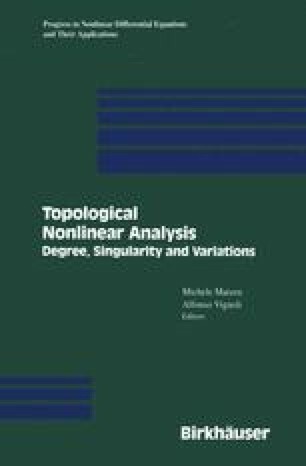 The past twenty-five years has seen major strides in our understanding of the solutions to nonlinear ordinary and partial differential equations. This progress has built on earlier foundational work which was often concerned with, for example, establishing the existence of at least one solution for a nonlinear equation or determining the parameter values at which a solution bifurcates. These questions have been refined to ones involving more precise information about the solutions. This includes the precise properties of the set of solutions such as: the exact description of the bifurcation of equilibrium points and limit cycles for ordinary differential equations, the multiplicity of solutions to nonlinear elliptic equations, the number of periodic solutions appearing from perturbations of Hamiltonian systems, and the nature of the branching of such solutions. At the same time, the methods lead to increased knowledge about the nature of the solutions to nonlinear equations, including symmetry properties of solutions to nonlinear PDE’s as well as properties of steady state solutions to evolution equations such as reaction-diffusion equations.